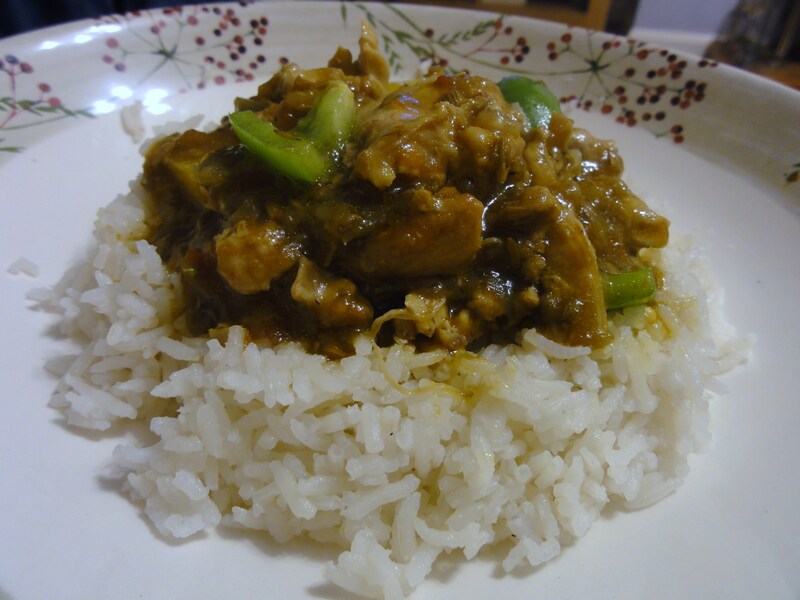 Last night I cooked a chicken curry here is the recipe. Add chopped pepper and cook for 5 -10 minutes. Rice – 300g basmati rice (2 cups) place in a pan and cover with water 2cm above the rice, add salt to taste then add 4 cloves, a 2cm piece of cassia bark, 4-5 black peppercorns and 2-3 green cardamom pods, curry leaf. Bring to the boil for 15-20 minutes remove spices prior to serving. This tastes a little like pilau rice – add colouring to make this more authentic if you wish. Previous Post “Read your labels” – retrospectively is no good! A reflection, a survey and slight feeling of dietetic hypocrisy. Nice recipe … you don’t see Asafoetida used that much! I use it quite a bit … although not for stomach issues. I’ll be doing a post about it in a week or two. Will watch out for that post then! Looking forward to trying this one next week. I might replace the asafoetida powder for green parts of spring onions or leeks though as it’s impossible to get wheat free asafoetida here. Thanks so much for the reblog – I hope you find the recipe to your satisfaction! I don’t think it will miss much without the asafotida.